UPDATE: The final suspect is now being charged as an adult and has been identified – click here for details. The victimized school teacher at Villa Cresta Elementary School suffered minor injuries when one of the four female juvenile carjackers approached her, asking her a question meant to distract her, then knocked the cell phone out of her hand and began punching her. The teacher attempted to defend herself, but fell to the ground, at which time the juvenile violently tore the purse away from the teacher. Another suspect picked up the teacher’s cell phone, and then the suspects stole her car. Two of the suspects left the scene in the teacher’s black Kia Sportage. The other two left in the vehicle in which they had arrived, a silver Ford Fusion with a Virginia registration plate – which the teacher observed as they fled and gave the information to responding officers. Police determined that the Ford Fusion was reported stolen from Gardenville Elementary School in the 5300 block of Belair Road earlier that day. Two hours later the Ford Fusion was found parked on the lot of the Hope Academy at 1808 Edison Highway, 21213. Baltimore County detectives responded and quickly learned that two more vehicles had been stolen by the same four female suspects – a gray Dodge Journey and a gray Ford Fusion, both of which have since been recovered. Similar to events at Villa Cresta, the girls used a ruse to enter the school and get past the office, where they located purses, stealing them and the car keys to the vehicles they took. Detectives quickly identified the first two suspects, who were arrested and charged. Both admitted to their involvement in the Villa Cresta carjacking and other incidents in Baltimore City. Police quickly alerted surround schools of the incidents, asking all school personnel to remain vigilant. 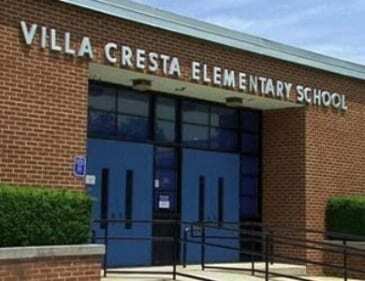 As a result, staff from Pleasant Plains Elementary School in Towson advised that the same suspects were at that school the day after the Villa Cresta incident, attempting to gain access to the school by claiming they were there to visit a relative. They were asked to leave school property and were unable to commit any crime in that incident. Detectives have continued investigating leads on the identities of the last two suspects, resulting in the arrest of one yesterday, a 15-year-old charged as a juvenile, and the other on Tuesday, expected to be charged as an adult. Both admitted their involvement in the Villa Cresta case and other incidents in Baltimore City.